Tim Hortons launches Rewards program across Canada — Earn a free reward every 7 purchases! March 20: Tim Hortons has launched its own Rewards Program across Canada this morning. 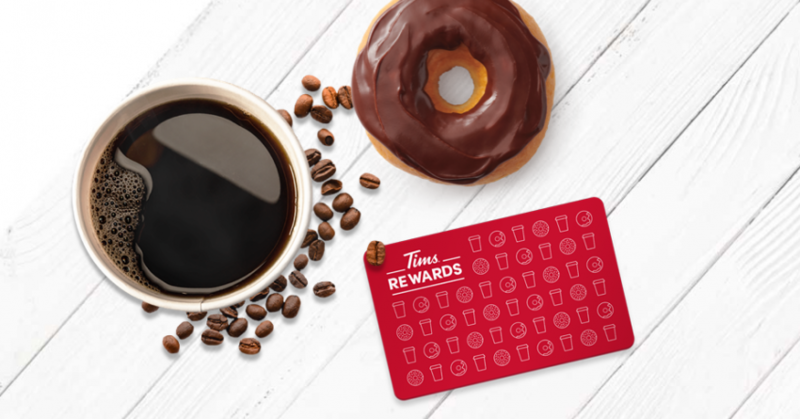 After every 7 purchases, Tims Rewards allows you to earn a free reward — be it a free Tea, free Coffee, or a free Donut (or other baked good)! As a BONUS, you can instantly receive a free reward when you register your card on the Tim Hortons mobile app (for a limited time)! Transactions less than $0.50 after the application of other discounts (like a roll up the rim tab) won’t count towards your next reward. If you use a Tims™️ Reward however we’ll still count it! You can bank up to 5 Rewards on your account at any one time. Any Rewards earnt above this will not be saved on your account until you have used the Rewards existing on your account.